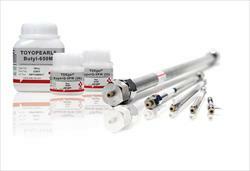 In 1989, TosoHaas GmbH, a joint venture of Tosoh Corporation, Japan, and Rohm and Haas, US, started business in Stuttgart to market Tosoh’s chromatography columns and resins in Europe 25 Years of Tosoh Bioscience in Germany In 1989, biotechnology was a young industry but TSKgel HPLC columns for size exclusion chromatography were already well established. TOYOPEARL media, specifically designed for use in biopharmaceutical production, had also been introduced some years earlier. 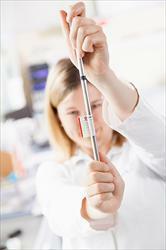 Alongside the successful development of biotechnology, TosoHaas GmbH experienced continuous growth. In 2002, all Tosoh affiliated separation and diagnostic related companies were unified under the name Tosoh Bioscience. For Europe the supply chain services for the Bioscience group were centralized in Tessenderlo, Belgium while sales, marketing, and technical support remained in Stuttgart. All resources are directed into dealing with the Tosoh products and customers. A specialized sales team looks after all customer requests and enquiries, maintaining a close relationship with TSKgel and TOYOPEARL users. Over the years, many successful product introductions broadened the portfolio. Besides the successful TOYOPEARL HIC and Ion Exchange media, Tosoh introduced Mixed-Mode and Protein A affinity resins with outstanding binding capacities and the renowned TOYOPEARL robustness. 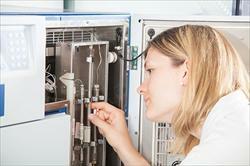 Latest (U)HPLC column innovations are related to antibody characterization by SEC, HILIC, and IEC. Tosoh has a long and successful history in manufacturing instruments for gel permeation chromatography (GPC) for the Asian market and in 2008, Tosoh Bioscience GmbH started to market the latest generation of GPC instruments in Europe. The GPC line encompasses the compact EcoSEC standard GPC system and the EcoSEC-HT, a high temperature GPC system for analysis up to 220°C. Demanding high temperature analyses require an easy-to-use and safe system combined with dedicated high temperature GPC columns to ensure reliable and reproducible results. The EcoSEC-HT GPC System incorporates the proven design and technology used in the ambient EcoSEC System. The dual pump system, dual flow RI detector, spacious column oven, full temperature control, autosampler and sample preparation station are integrated in an all-in-one design that offers several safety features and is controlled by intuitive software.